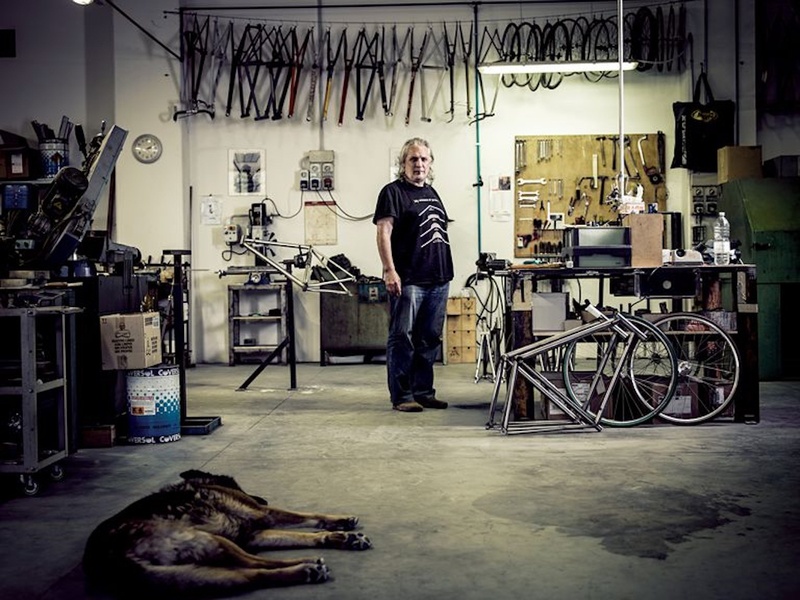 The North American Handmade Bicycle Show (NAHBS) is pleased to announce that “Officina” Dario Pegoretti — the team that Dario trained for many years — will be exhibiting at this year’s show in Sacramento, California, showcasing the technical and artistic vision of their legendary founder. Widely considered the “Godfather” of the artisan framebuilding world, Pegoretti’s frames are known for their exquisite craftsmanship and creative paint schemes that made them as much objects of art as they were bicycles. 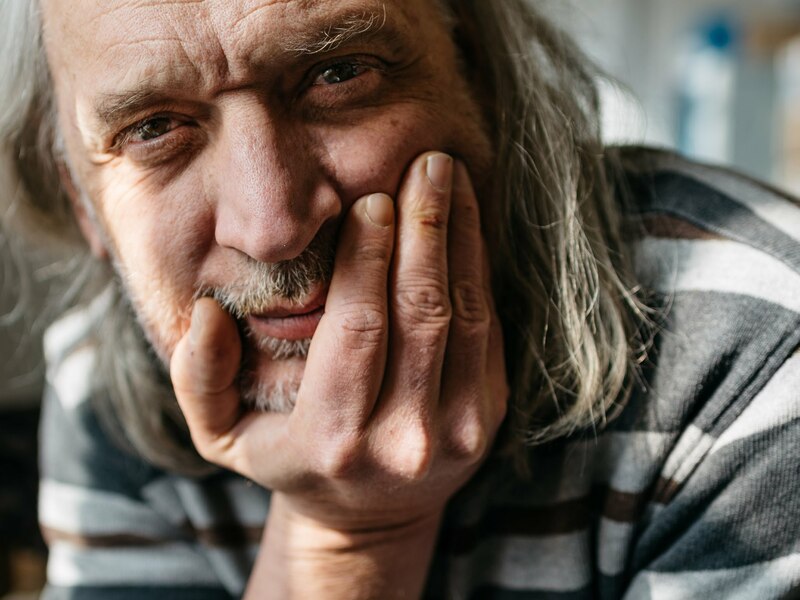 Pegoretti apprenticed with master builder Luigi Milani, where he started-off sweeping floors, before learning the skill of artisan framebuilding. 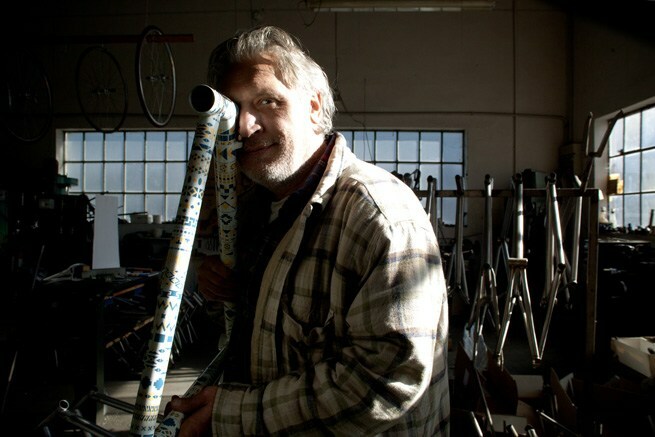 From there, he struck out on his own during the 1990’s, steadily building up the reputation as a “frame builder of trust” during the 1990s, designing and building frames for top pro racers like Miguel Indurain, Marco Pantani, Mario Cipollini and others. Pegoretti went on to solidify his reputation on these shores as well, teaming up with legendary American framebuilder, Richard Sachs, to create a special alloy called Pego–Richie, and winning such coveted awards as the NAHBS President’s Choice award in 2007 and NAHBS’ Framebuilder of the Year in 2008. For more information about this year’s North American Handmade Bicycle Show, please visit http://www.nahbs.com. You can also connect with NAHBS socially on Instagram, Facebook, and Twitter.